A small crack in your asphalt surface may seem minor, but minor cracks can (and often do) lead to pavement deterioration if not treated. 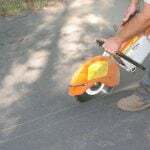 Crack sealer is one of the most important asphalt repair and maintenance practices, especially in fall. 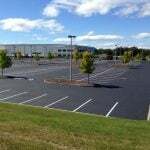 If your asphalt is not repaired and maintained on a regular basis, it will likely deteriorate early. On average, your pavement should last anywhere from 15-30 years – but only with regular upkeep and maintenance. So, Why Is Crack Sealer So Beneficial And Important? Potholes and extra-large cracks can not only be damaging to your asphalt, but can also present tripping and driving hazards, and thus additional liability. Proactive upkeep will protect your pavement investment by ensuring that it does not weaken prematurely and that it lasts as long as expected. Fall is the best season to apply crack sealer for several reasons. Cooler temperatures allow for ideal and quick set time. In the summer, the heat and high sun could cause stickiness. Going into winter with cracks in your asphalt is asking for trouble. If you live in an area where winters means snow, cold, and ice (like CT), pothole formation during these cold months is already likely. This means if you head into winter without first repairing and preparing your asphalt, the winter damage will be much greater. 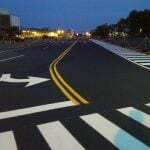 When it comes to asphalt, you always want to make sure that its base is structurally sound. 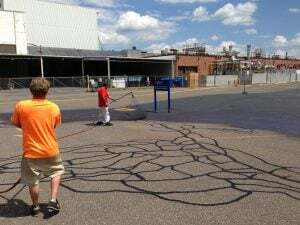 If it is not, your entire asphalt structure can get compromised. In winter, due to snow buildup, more moisture will inevitably be sitting on the surface of your asphalt. Going into this season with open cracks means that this additional moisture can easily make its way to the structure’s base. Crack sealer can successfully be applied anywhere from April-December and should be completed as regular maintenance on an annual or biennial basis (minimum). Additional crack sealer applications should be applied as needed. How Much Does Crack Sealer Cost? The average cost for crack sealer services is around 45-75 cents per foot. As with any other contracting job, a number of factors will play into determining the final and exact cost of your project. 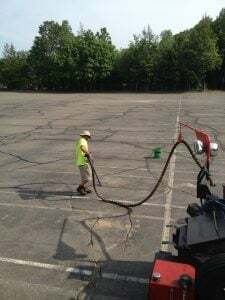 Since crack sealer is beneficial for so many reasons, and it goes a long way in preserving your asphalt investment, it has a very high ROI. 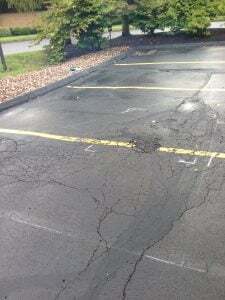 Never apply asphalt sealer on a cracked surface without first applying crack sealer. Fall is not only the best time of year to apply crack sealer, but it is also a very necessary time, prior to winter. 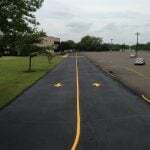 Maintaining and lengthening the life of your asphalt is not only important in protecting a property investment you’ve made, but also in protecting against liability claims associated with damages from a neglected parking lot you own. Now is the time to seal all of the cracks in your asphalt and prepare you lot for the harsh months to come. Don’t wait until asphalt plants are closed for the season! Contact EastCoat Pavement Services now for your free crack sealer consultation!